Come into the City this Easter and you will find a range of fun, free events, activities and entertainment that the whole family will enjoy. Proudly brought to you be the City of Perth, these Easter events are a great way to get ready for the Easter celebrations and have some Easter fun. Come along to Central Park for the Holiday Inn Perth City Centre Easter Egg Hunt, on Wednesday 16th April, 2014, from 11am till 1pm. 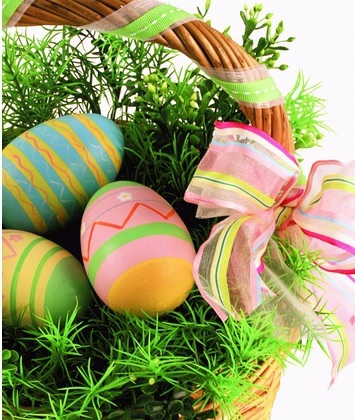 Children of all ages can join in the fun with two different Easter Egg Hunts running. The first one is for children three to five years of age and will start at 11.15am. The second one is for bigger kids, aged between six and twelve years of age, and will begin at 11.30am. There will also be loads of free fun for the whole family with balloon twisting, face painting and, of course, a visit from the Easter Bunny. As part of this years Easter Egg Hunt, search for the big Golden Egg, and one lucky person will win a over-night stay at the Holiday Inn Perth City Centre. Register your children for the Easter Egg Hunt by phoning 9261 7200 or on-line at the Holiday Inn website. Bring the kids into the city for loads of free Easter fun with Easter Egg Workshops. These workshops will be held in Forrest Place from Monday 14th April, 2014 to Thursday 17th April, 2014, between 10am and 2pm each day. Let the kids get creative and decorate Styrofoam Easter Eggs with an assortment of textas, stickers, glitter and other fun materials. Head into the City of Perth for Easter Fun Day on Saturday 19th April, 2014, between 11am and 3pm. Come to Forrest Place where you will find loads of fun for kids of all ages. There will be Easter Bunny and Gingerbread Decorating, Free Chocolate Eggs, fun Easter Basket-Making Workshops, a Giant Inflatable Maze, a Bunny and Chick Petting Zoo, a visit from the Easter Bunny and much more. The Crunchy Munchy Carrot Show is a fun show for children featuring plenty of music, dance and magic. Join the Easter Bunny on an exciting adventure as she works to turn ordinary carrots into Easter Eggs. The show will be held in Forrest Place, Perth, from Monday 14th April, 2014 to Thursday 17th April, 2014. There will be three show each day, at 10.30am, 12noon and 1.30pm. Children can join in with lots of fun audience participation and, of course, Easter eggs. So, bring the children into Perth City and enjoy a range of fantastic, fun, free Easter events. These events are sure to be popular and attract large numbers of people, so try to get there early to avoid disappointment. For further information about Easter events in Perth City, visit the City of Perth website. So many free family-friendly options!